Following years of travel, documentation and engagement, Pratyush Shankar authors a rich, intimate monograph: an insight into the unique, diverse, versatile and complex human habitats of the Himalayas illustrated with Photographs, Sketches and Drawings. A Spread from the Book. The book is beautifully laid out and richly illustrated. Foreword by Julia A B Hegewald, the book is an exhaustive chronicle of the unique landscape of the Himalayan range, its hostilities and abundance and the human habitats that dot the terrain. Pratyush Shankar has been a constant and regular traveller to the region and his interest and inquisitiveness eventually took form of an academic inquiry that led to this publication. 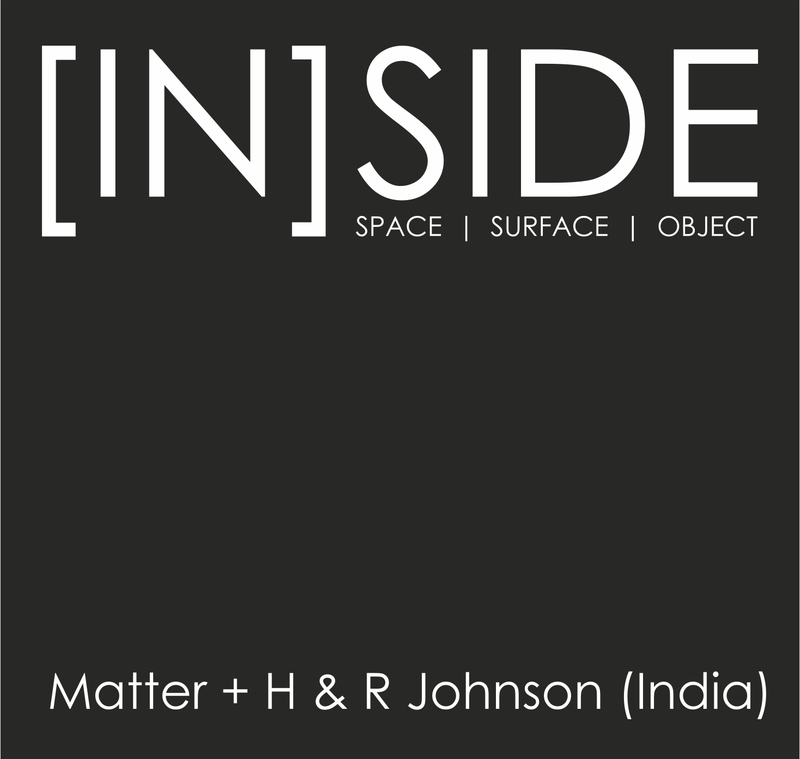 The book addresses the many juxtaposed and complex layers of social, economic, cultural and tectonic constructs that influence the built environs in the Himalayas. 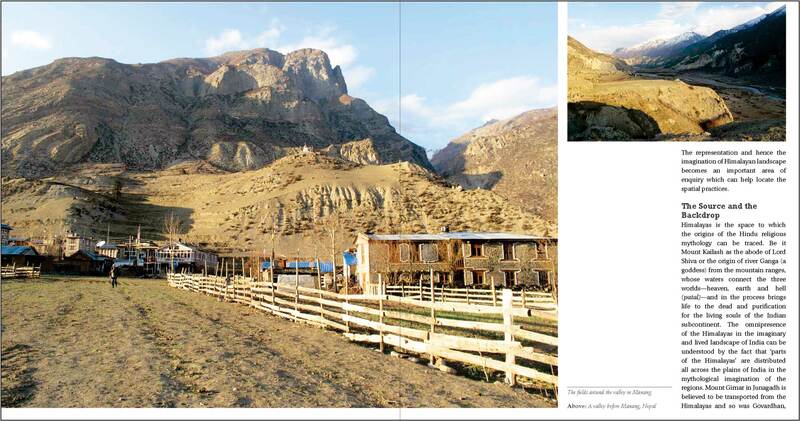 The book is organized in 4 sections – ‘Landscape of the Mind’ that deals with the cognitive reading of the region and refers to the inherent multiplicity of the place. 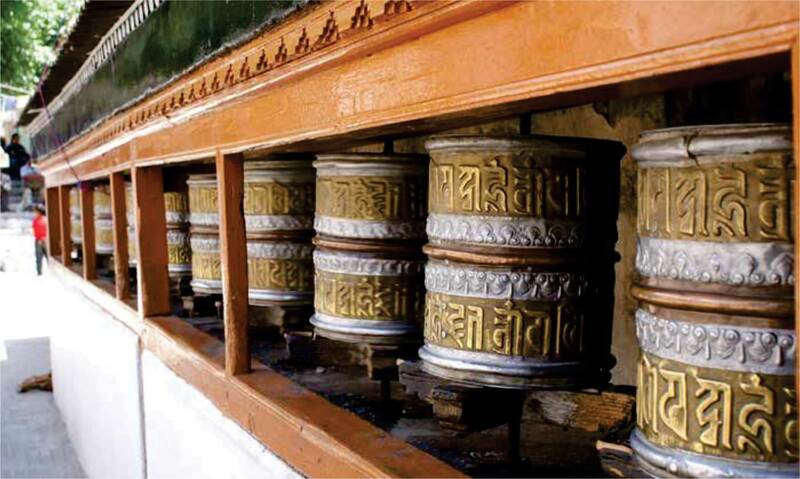 ‘Cities of the Himalayas: Patterns and Settings’ deals with the urban domains of the Himalayan settlements and refers to patterns that emerge from the built. A Sketch from the Book. Diagrams aid visual referencing of writing. A Page from ‘Following Landscapes – Spaces of Reverence’. Intuitive sketches in the book render a very personal account of places. Drawing – Plan of the Bhimakali temple – and many such are generously spread in the pages. Photograph – the Leh Palace. ‘Appropriating Landscape: New Typologies’ discusses the urban form and dwells deeper into the details of the clusters, hierarchies, layouts and systems. Pratyush observes the changing landscapes of the urban centers o Himalayas with an influx of global forces and frames his concerns for their future. The final chapter of the book ‘‘Following Landscapes: Spaces of Reverence’ is an experiential journey and touches on the details and observations that need engagement and understanding. Beautifully illustrated and rich with sketches, drawings, photographs and maps, the book forms a strong foundation to understand the built landscape of Himalayas and the form in which it interacts with extremities of climate and terrain. 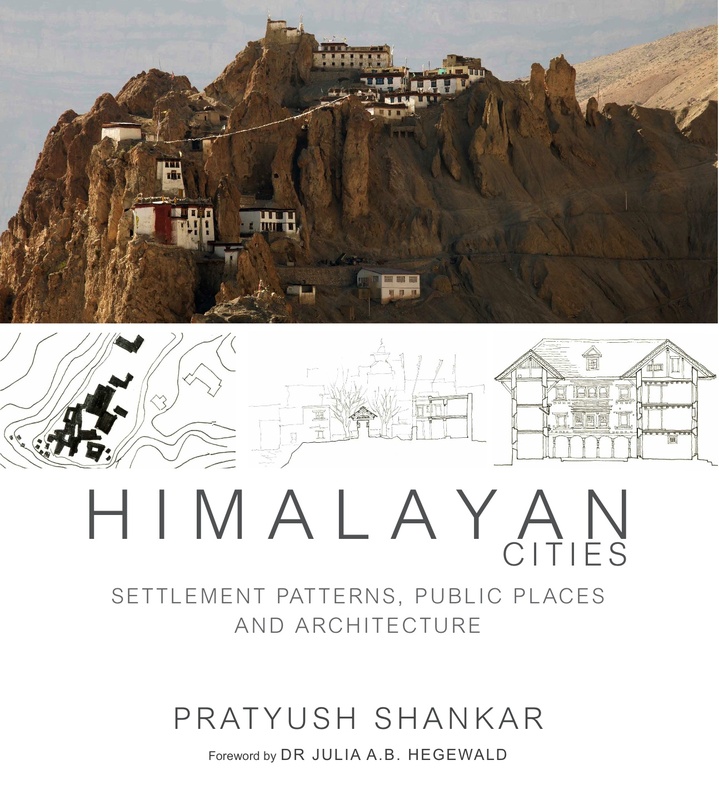 Title: Himalayan Cities: Settlement Patterns, Public Places and Architecture. Himalayan Cities by Pratyush Shankar.